On March 3, 2018, the Times ran an interesting article titled 'When good intentions lead to awful crimes'. It was about the child migrants who were sent to New Zealand and Australia years ago. The whole concept was to populate the British colonies with children from Britain so as to ensure the population remains white (mostly). The whole endeavour was to ensure that the best civilization (read that as English culture) would prevail. It was not done out of fear that the English would be wiped out or over run. The enterprise was taken up at the height of the English mentality that the sun would never set on the mighty empire!! The exporting of children as colonial seed corn dates back to 1618 when 100 destitute children were sent to the fledgling colony of Virginia. 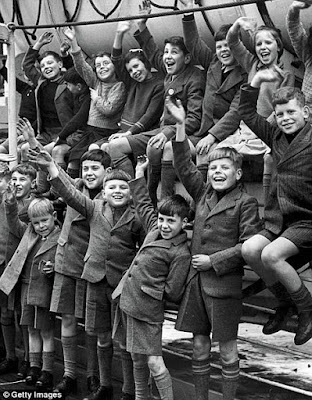 By the time the last party of child migrants arrived in Australia in 1967 more than 130,000 children had been removed to Canada, New Zealand, Rhodesia and Australia. What actually happened 400 years ago was in a way charitable: boys, orphaned and abandoned or not from affluent families or from broken families, in Britain were taken to Australia with the idea of giving them a better future and a chance to carry on the 'English legacy' in the Down under. A child brought up in the bracing colonial climate would, it was believed, learn the value of hard work and escape from the corrupting influence of the slums. While what actually happened to these thousands of children remains far from the ideal or normal, the intention of those who approved and endorsed this enterprise was noble - as per the times. Even when the programme ended it was not because of moral issues but because the empire itself was waning. The author does not condemn the whole programme but picks up the lesson to be learnt: need for rigorous follow up of charities. Rightly so. Passing moral judgement on the past by the standards of the present is meaningless. Today, the idea that children could be removed from their families, lied to and dumped in the hands of strangers seems utterly iniquitous.The science of child psychology (which only emerged in the 1920s) has taught us that a child brought up in a family, even a poor and dysfunctional one, is almost always happier than one with no family at all.